Success in organic chemistry requires a strong foundation and understanding of the basics. That’s why this video series is designed to teach you these very foundation topics touched on in general chemistry. Worried you’re behind? 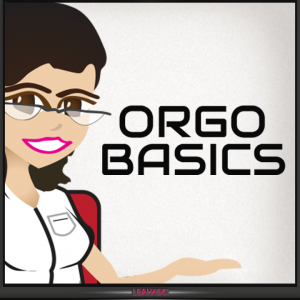 Go back to the Gen-Chem review for Orgo series first and test your knowledge with the Gen Chem Review for Orgo Quiz! Confused by those sticks and lines masquerading as molecules? 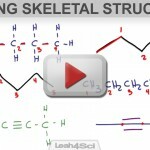 You’ll learn how to identify molecules when written in line structure. I’ll also cover molecules containing oxygen bonds, nitrogen, and more. Learning these concepts will help you recognize strong/weak bonds, and bonds that can or can’t be broken. These are crucial to understanding reactions. 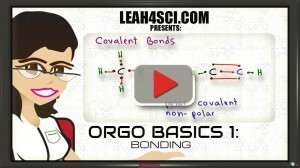 Carbon must have 4 bonds. This ability of binding 4 different atoms for a 3-D structure makes it unique to organic compounds. Sp3 hybridization for carbon and other atoms, geometry and bond angle. sp2 and sp hybrids give organic compounds unique shapes and reacting abilities. This video breaks down sp2 hybridization and sp fused orbitals using carbon and other atoms to help you understand hybrids, geometry, and bond angles. Simply calculate which atom carries charge. Later, you’ll be using FC to identify reactive intermediates and reaction patterns. So let’s get it mastered now! “What’s the correct structure?? ?” Ensure you are on the right track with this video. Simply draw every atom, bond, and lone electron pair. Resonance structures shows the movement of electrons between adjacent atoms. This will affect the way we understand the molecule including what it looks like, its reactivity, and more. Which Resonance structure is the most accurate? Learn how to find the most stable & least stable resonance structures and how to identify it among all the contributing structures. 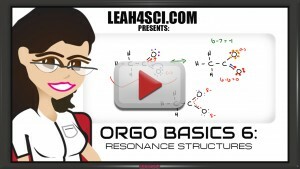 To review these topics go back and watch my Intro To Orgo video series. To test your knowledge on Gen Chem basics, check out my Gen Chem Review for Orgo Quiz!